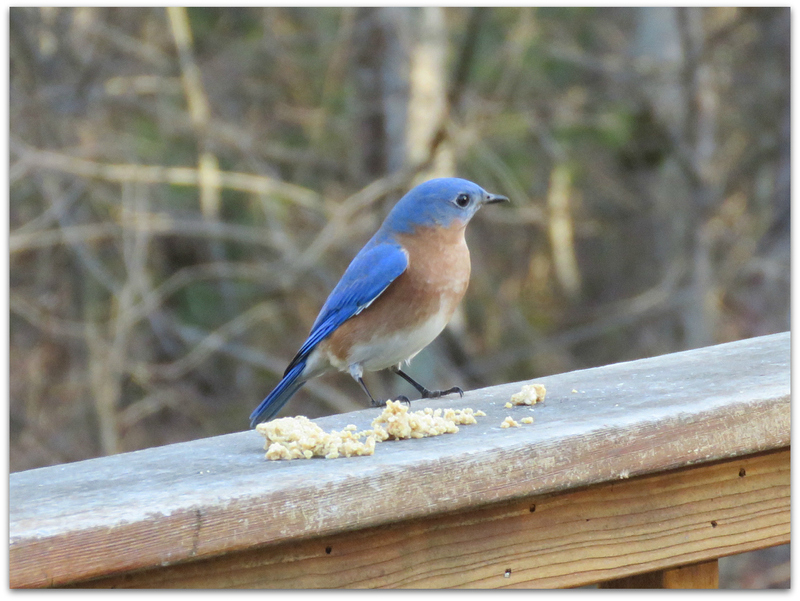 Eastern Bluebird arrives at the suet dough banquet table (aka porch railing). I also serve it in the dome feeder and on the platform feeder if it’s not raining. 10. It’s always fresh and homemade. Commercial suet blocks can be too hard for insect-eating birds like bluebirds and creepers to handle. Some have inclusions, like cracked corn, mixed seed, or whole sunflower seeds, that aren’t useful to birds. Homemade suet dough is soft, crumbly, even in texture, and just right for hungry birds to wolf down. Here is the recipe: Help birds endure the harsh winter weather with a special treat! Birds I have watched eat the dough: bluebirds, tufted titmice, chickadees, white- and red-breasted nuthatches, downy and hairy woodpeckers, tree sparrows and juncos. Use unsalted, natural peanut butter. You can add chopped raisins or other dried fruit – but soak them in water first. Why include Chick Starter, the only ingredient not available at the grocery store? To add calcium and protein and avoid diseases that can occur from devouring too much bird dough without the added nutrition. Read more… Julie Zickefoose’s blog post: Zick Dough, Improved. 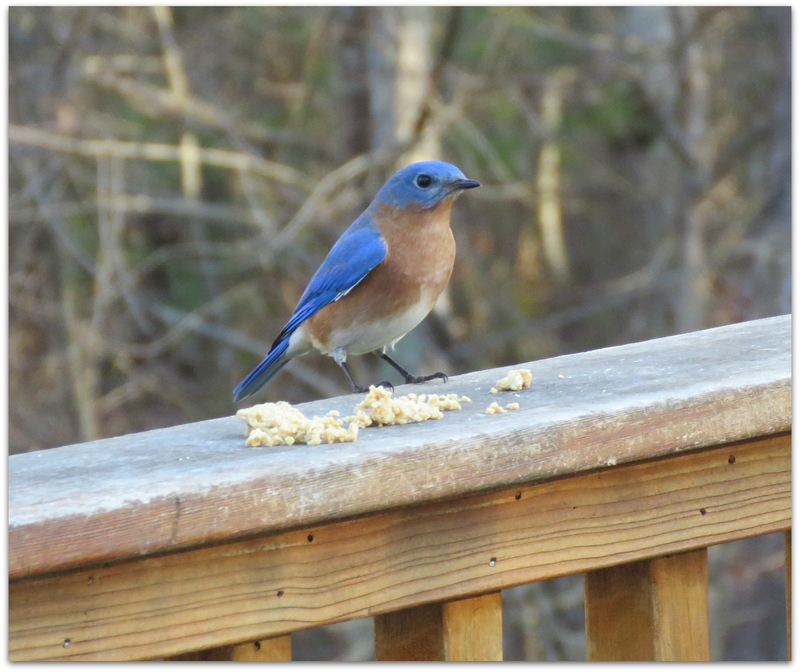 This entry was posted in Uncategorized and tagged bird food, birds, Eastern Bluebird, suet dough on December 30, 2014 by Amy.